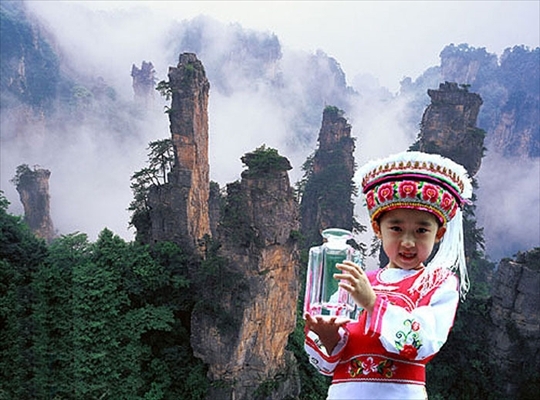 On the occasion of World Earth Day here is a gift that brings us back to the time when our planet was a pristine paradise: an ampoule containing nothing less than the air you breathe in the mountains of the National Park of Zhangjiajie (Hunan Province , China) The same that inspired the floating mountains of Pandora in the movie Avatar. Since the release of blockbuster this place is besieged by tourists who want to enjoy live peaks shaped by erosion – including the famous Avatar Hallelujah Mountain, so renamed in honor of the film – and the luxuriant vegetation. A valuable opportunity for the directors of the park (protected by UNESCO), which began sponsoring the air you breathe among these trees, defined by their pure and “rich in negative ions of oxygen”.